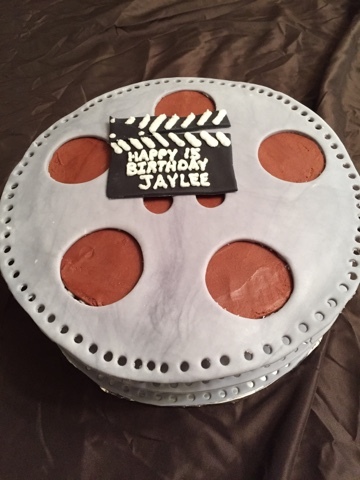 A few weeks ago I made a movie reel cake. 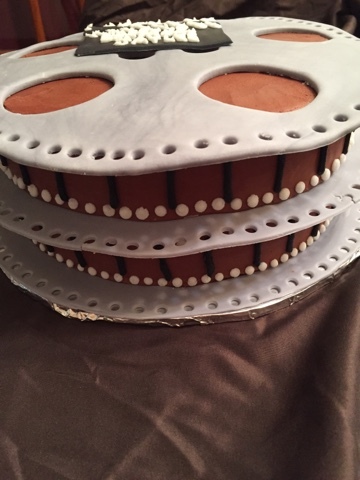 This cake was covered in chocolate icing and I used fondant to create the metal frames. It was a lot of fun and really very simple. The recipient loved it.